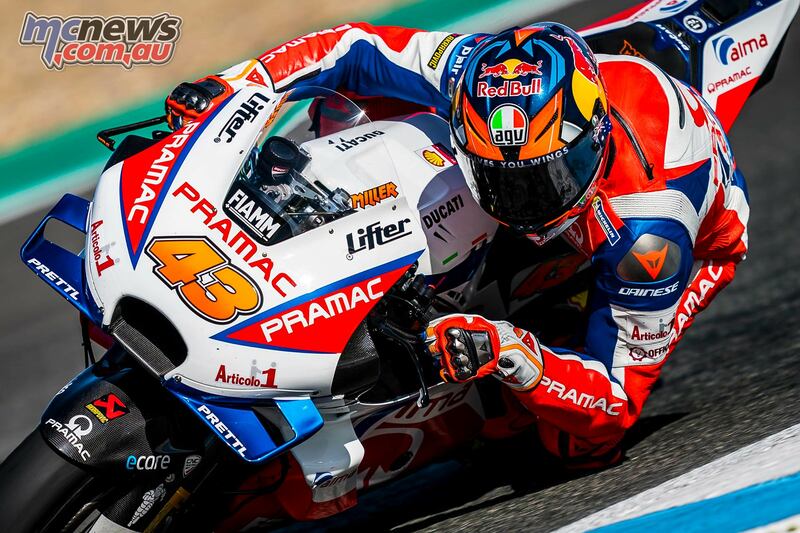 Takaaki Nakagami (LCR Honda Idemitsu) was impressive on Day 1 of the Official Test at the Circuito de Jerez-Angel Nieto but the Japanese rider usurped the adjective on Thursday to not only impress, but go quickest. 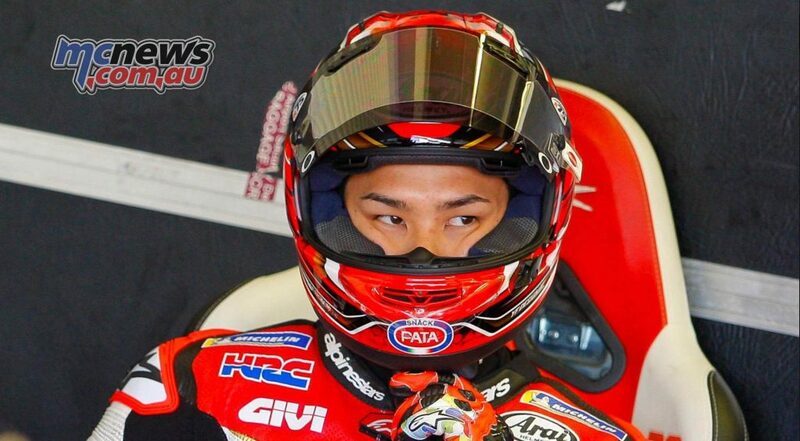 The Japanese rider’s 1:37.945 was unmatchable on Day 2 and he put in 66 laps on his 2018 Honda. 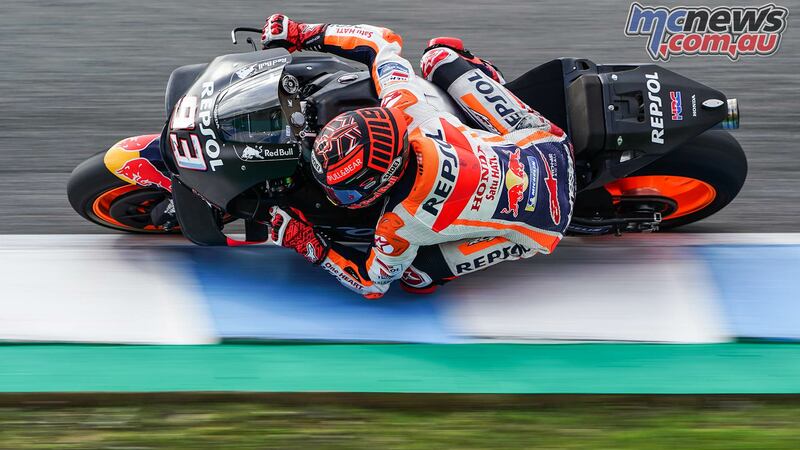 Reigning Champion Marc Marquez (Repsol Honda Team) was in close pursuit, however, ending the day just 0.025 off Nakagami’s best with a 1:37.970 – with Maverick Viñales (Yamaha Factory Racing) completing the top three and still within a tenth of the top. At Honda, the devil was in the details – not just the logo on the number 99’s side of the garage – although there was a new airbox on show. Marquez said he was working more on refinements, as well as different tyres, with some good and some bad to report. Overall though it was a satisfied seven-time World Champion, happy with engine improvements. 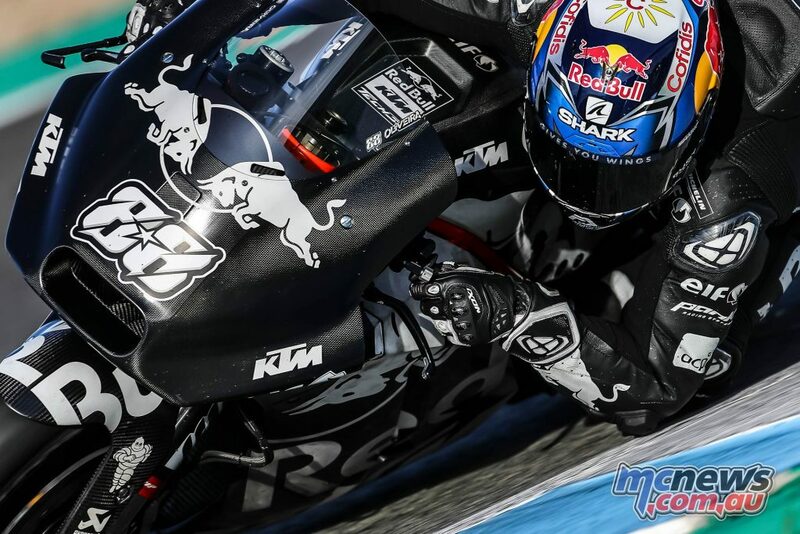 He did 56 laps – including a Marquez-style save – and says now focus will shift more towards the chassis. 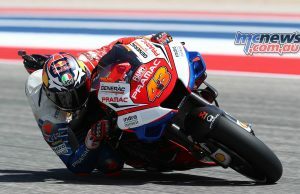 New teammate Jorge Lorenzo was also a force to be reckoned with on the timesheets. 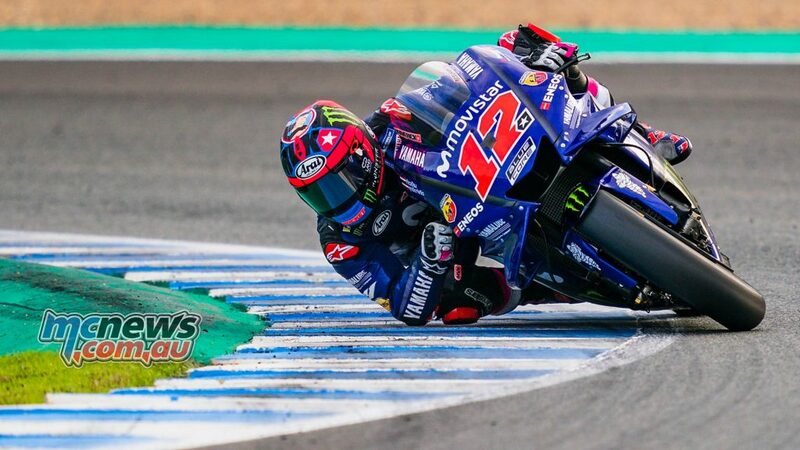 He put in a 1:38.105 and was just 0.039 off Viñales in third, with the number 99’s fourth day on the Honda seeing him take P4 after 65 laps – the third Honda in the top five. 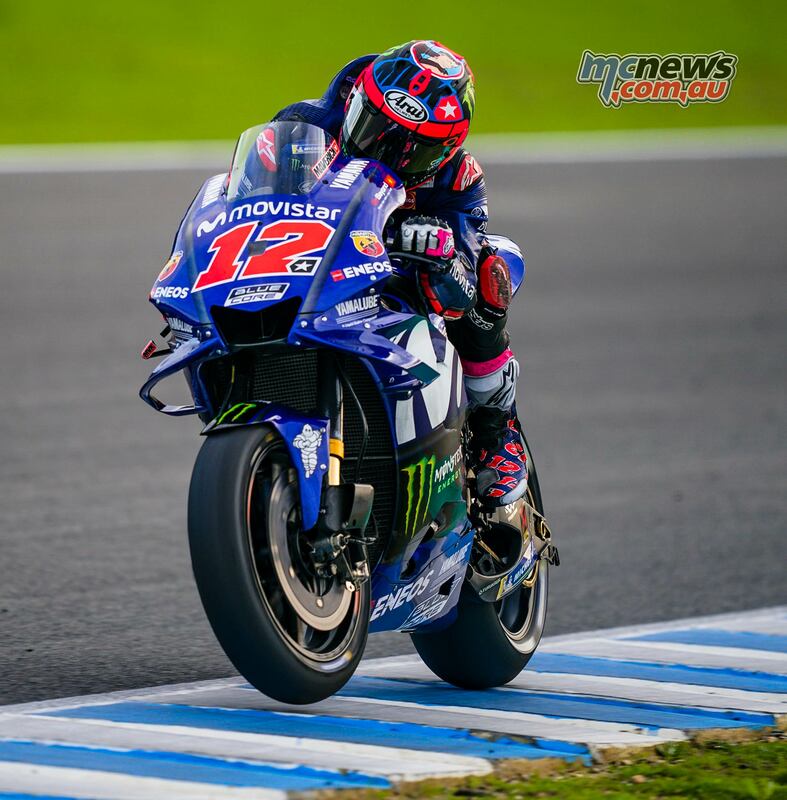 While Viñales seems content, the nine-time World Champion wasn’t quite as happy after Day 1, saying that it was good enough for fourth – if they can capitalise on others’ misfortunes. 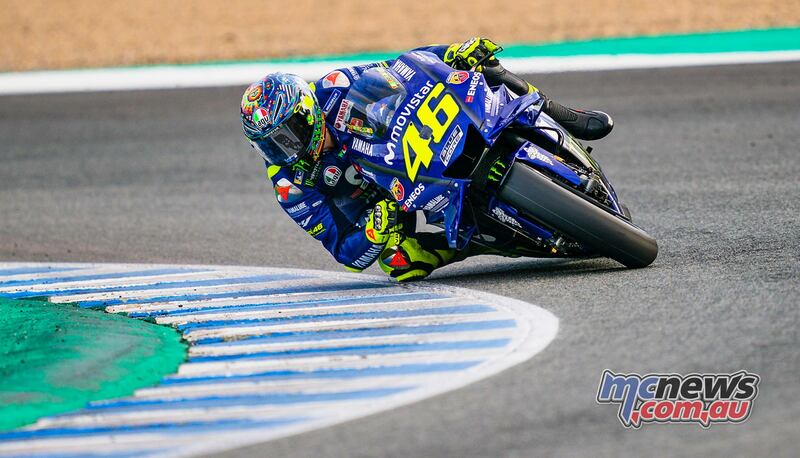 On Day 2 though, Rossi finished 11th fastest after setting a quickest time of 1:38.596, 0.651 from Nakagami’s benchmark after completing 67 laps. 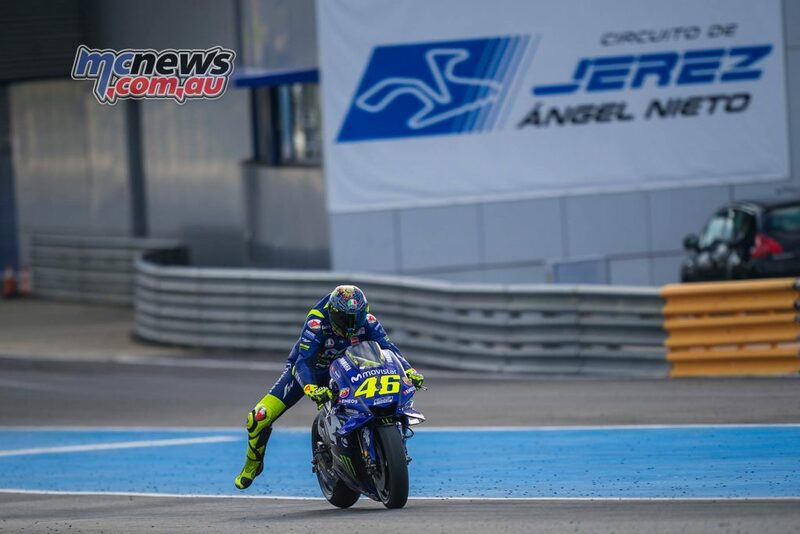 Rossi had already shared that he would be taking an in-depth look at the data to make a decision on the engine spec. After a total of 67 laps today, he has come to a clear decision on which direction to work in. 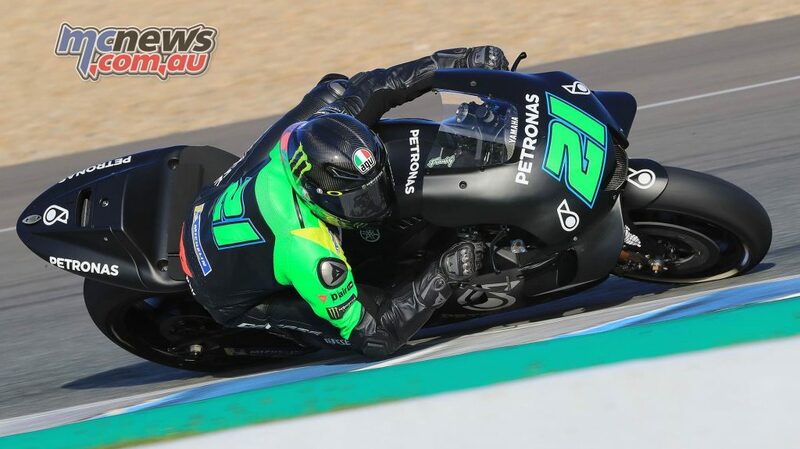 In the Petronas Yamaha SRT garage, it was another good day for both Franco Morbidelli and rookie Fabio Quartararo. For the former, a P6 finish after 68 laps and just 0.173 from the top sees him continue his quick adaptation from Honda to Yamaha. For Quartararo, it was another vital 58 laps in the bag – and it was another hugely positive day. 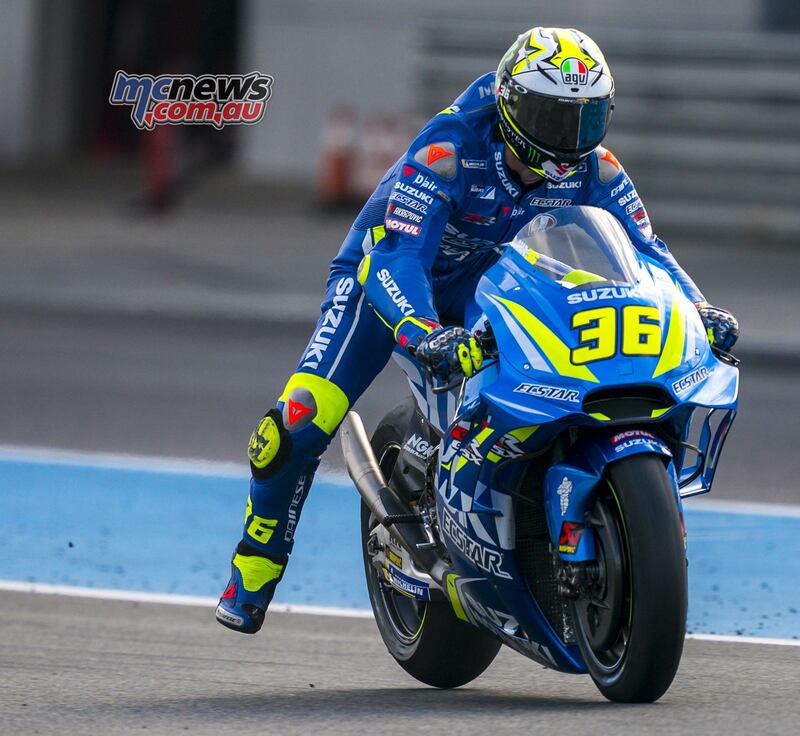 The Frenchman ended P12 on the timesheets after setting a fastest lap of 1:38.761, just over a tenth off Rossi’s fastest lap and under a second from P1. 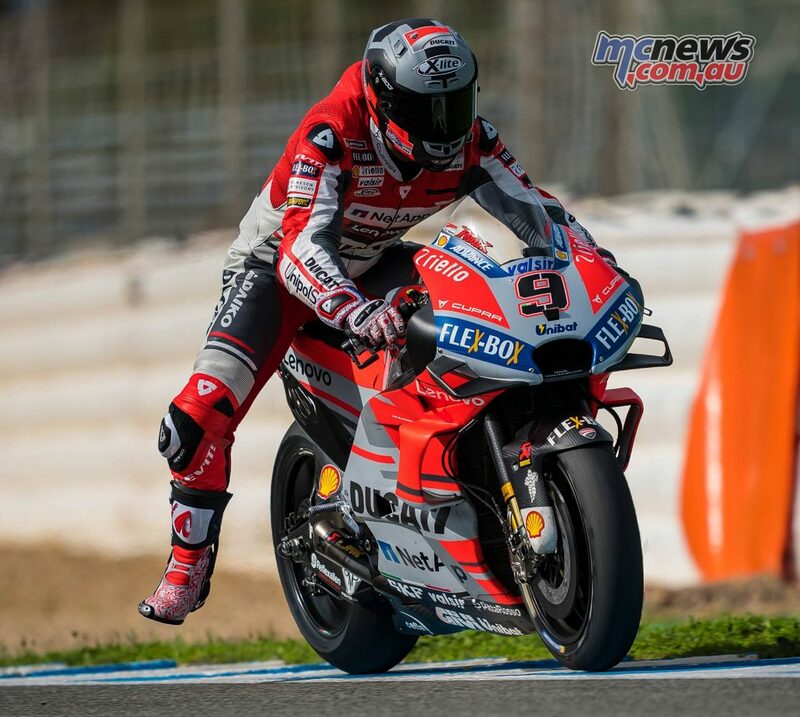 Meanwhile Ducati were the only manufacturer, according to Andrea Dovizioso (Ducati Team), who weren’t on engine duty – they were confirming, successfully, their results from the Valencia test. 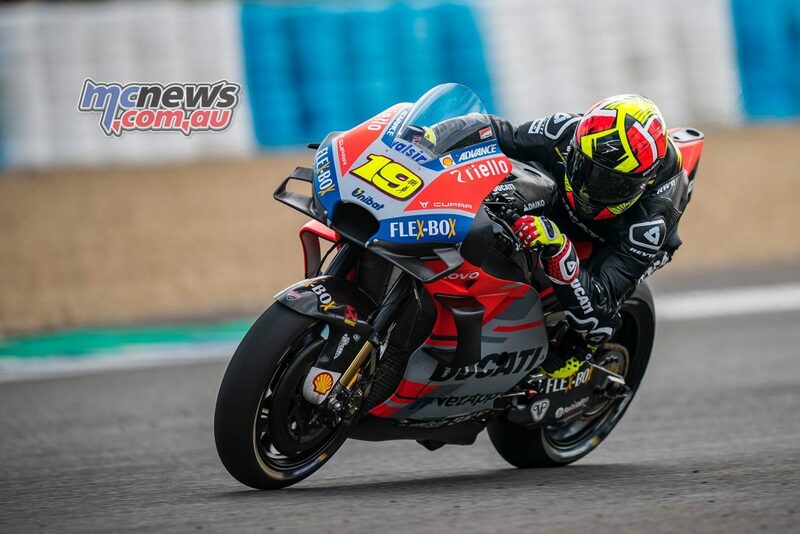 The Borgo Panigale factory were focused elsewhere, including some time working on a seat modification first seen on Day 1 ridden by test rider stand-in Alvaro Bautista. 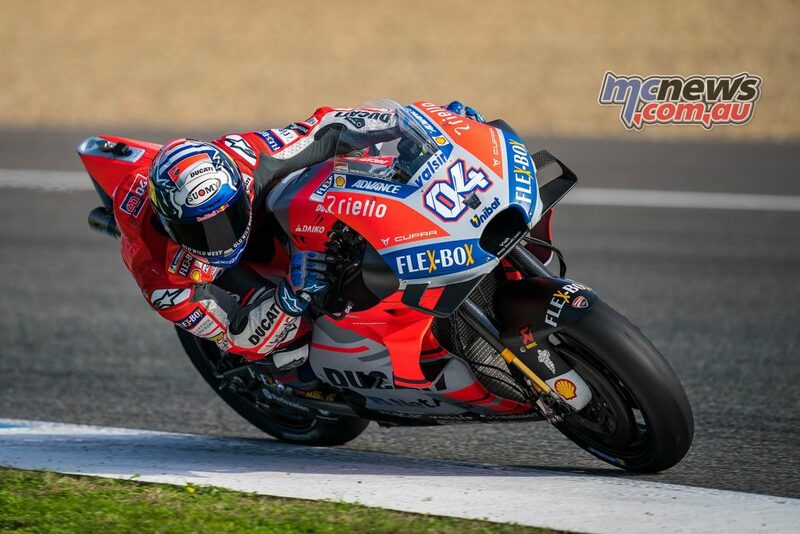 Despite a tumble on Wednesday, Dovizioso put in 44 laps – saying he didn’t feel limited by the crash – with a fastest of 1:38.292 to put him in P8, and it was new teammate Danilo Petrucci who flew the flag highest in fifth, a 1:38.109 his fastest of 68 laps. 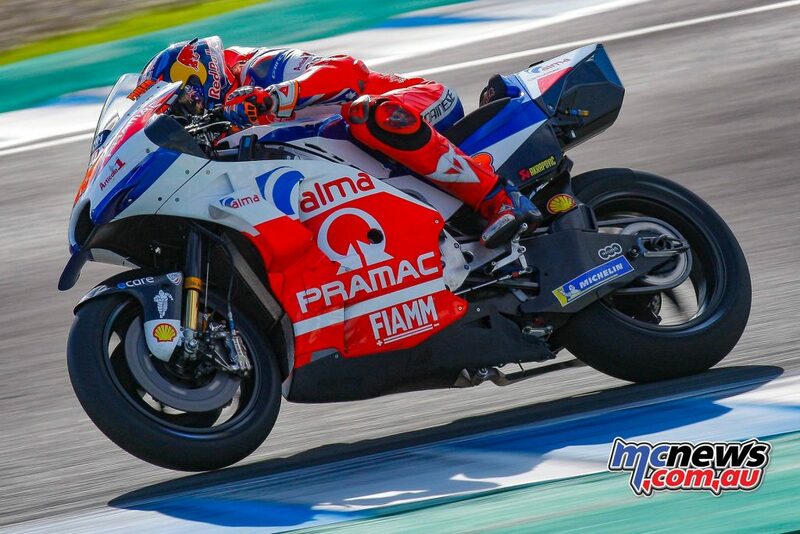 Jack Miller (Alma Pramac Racing) had an impressive day on track, including a lot of time spent working on different setups that “seemed to work better and better” every time they made a change. He was fastest for a brief time in the afternoon, and ended the day in P7 overall after 57 laps, the best of which was a 1:38.207. “We did a really good test. We have tried many different set ups and things on the bike working also on ergonomics. 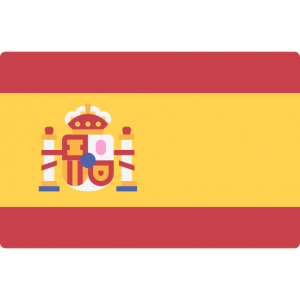 There are a lot of experiments and a lot of work to be done but the feelings are very positive. I am really satisfied with the way things went in the first two tests”. Miller’s rookie teammate Francesco Bagnaia, meanwhile, made for close company and was the quickest of the new kids on the grid. The Pramac duo were split by Dovizioso but ‘Pecco’ was only just over a tenth off Miller and the Italian debutant did 50 laps, just working on getting experience – especially on used tyres. 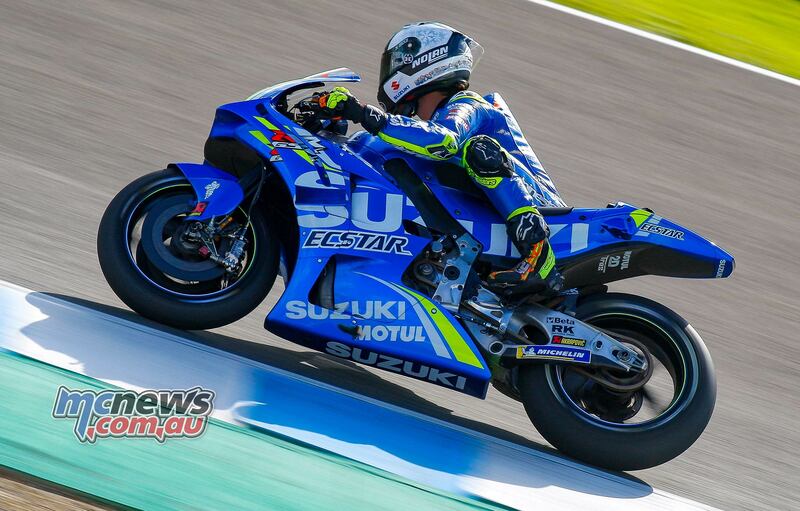 For Suzuki, Alex Rins (Team Suzuki Ecstar) was able to continue to test the new GSX-RR engine and chassis combinations, alongside test rider Sylvain Guintoli. 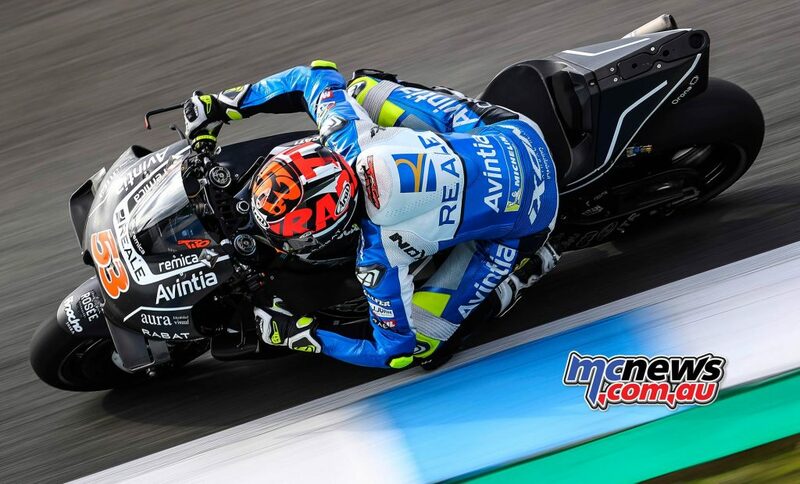 Rins was able to post the 10th quickest time on Day 2, his 1:38.522 0.577 off Nakagami’s pace as he completed 63 laps on Thursday. For teammate Joan Mir, it was another 55 laps under his belt as he continues to impress, bouncing back extremely well from a fast crash on Day 1. 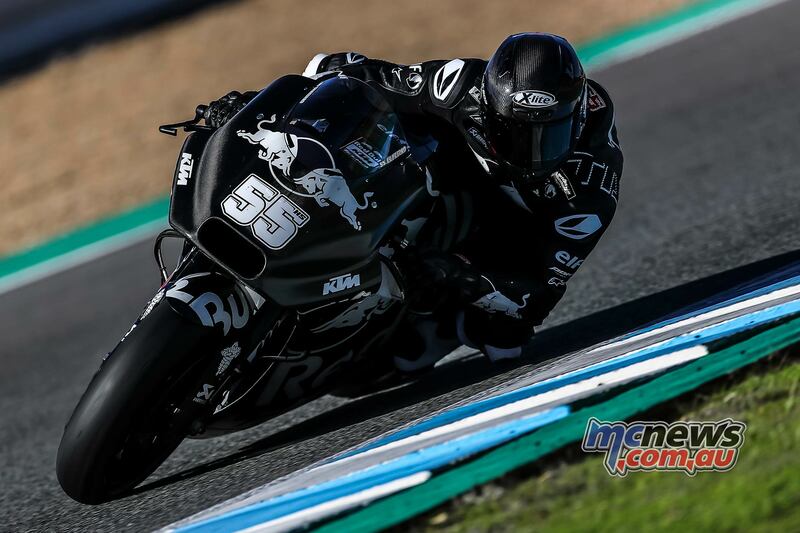 P14 on the timesheets for the Spaniard and under a second from P1 shows the 2017 Moto3 World Champion is continuing to adapt well, and he also got to try the new Suzuki engine and chassis on Thursday. 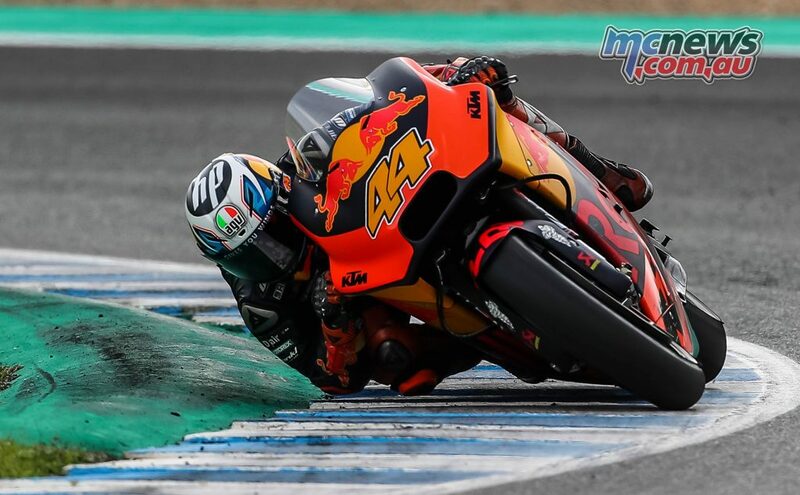 At KTM, Pol Espargaro (Red Bull KTM Factory Racing) was once again the quickest Austrian machine as the Spaniard put in a best of 1:39.144 after 60 laps – putting him fifteenth on the timesheets. 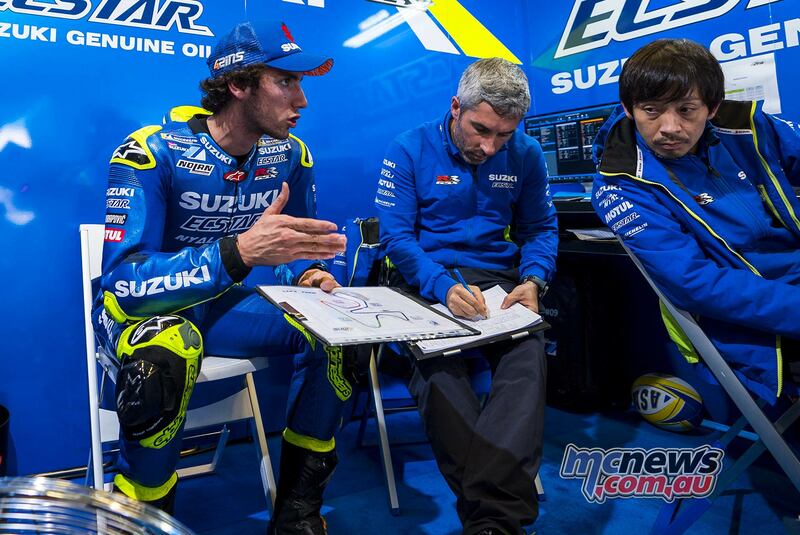 Work continued on many different parts of the RC16, with Espargaro testing what Team Manager Mike Leitner called “bigger items”. 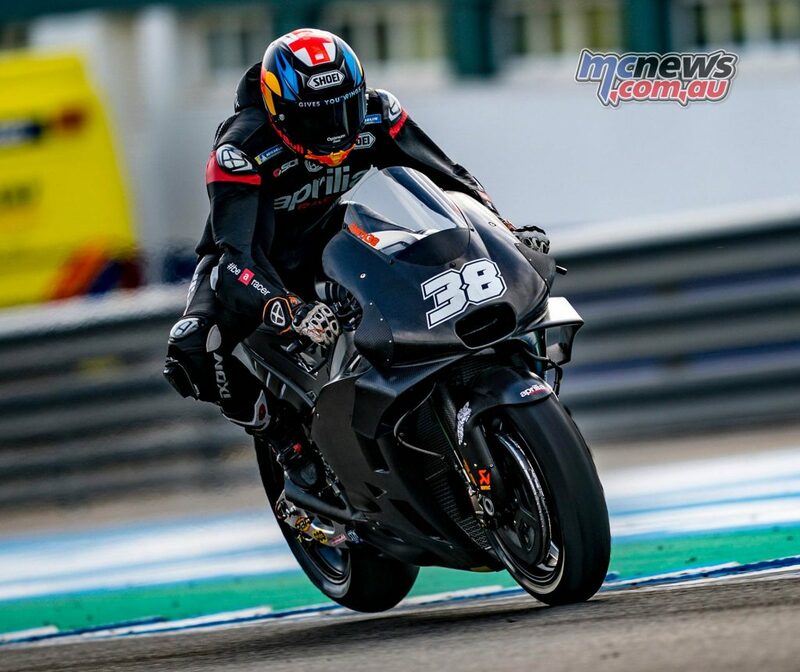 Johann Zarco was getting to better grips with his switch to the machine – with Leitner confirming his adaptation to the bike and vice versa. 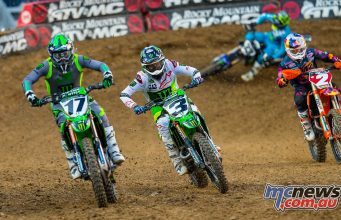 The Frenchman was seven tenths off his teammate on Day 2. 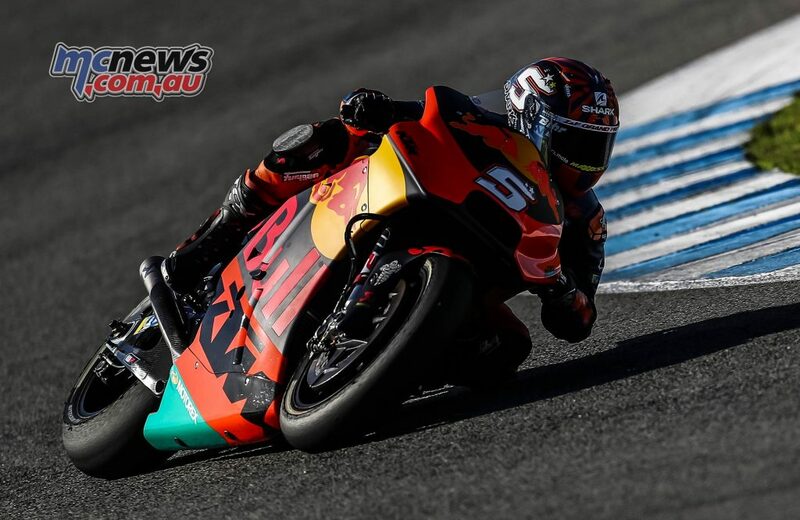 KTM Tech 3 Racing, meanwhile, had Hafizh Syahrin on a 1:40.520 and rookie teammate Miguel Oliveira with a best lap of 1:40.577 – only half a tenth off the Malaysian. 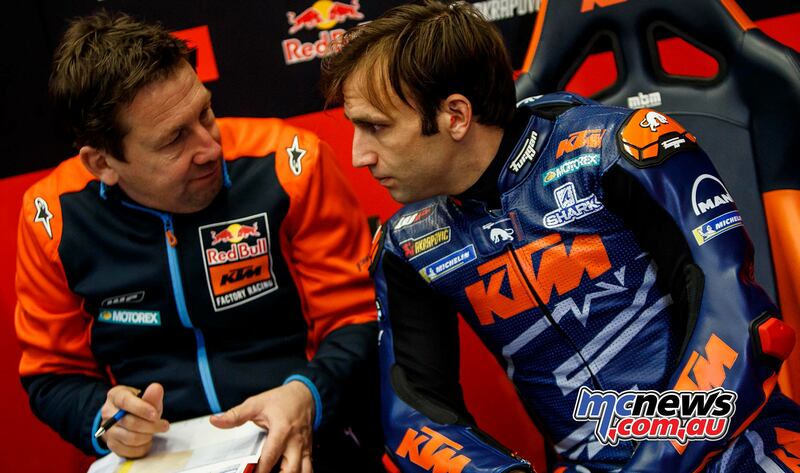 The KTM Tech 3 Racing duo in 54 and 61 laps respectively as they both switch machinery – the former from Yamaha and the latter from Moto2. So that’s a wrap on official track action in 2018! 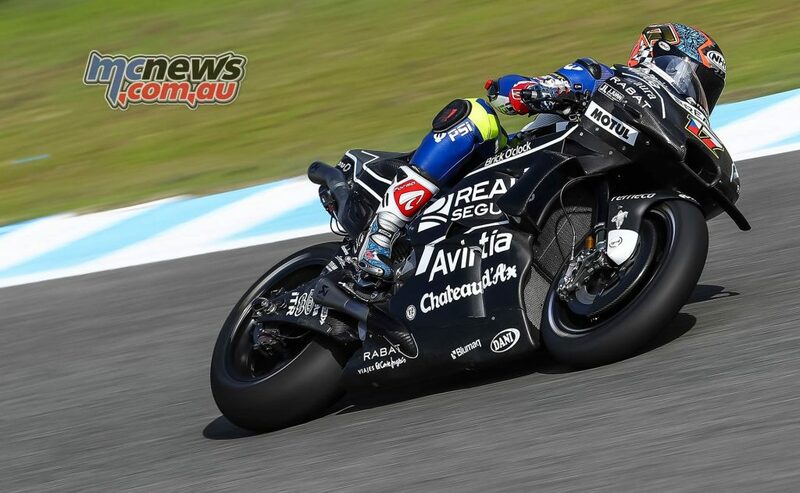 The Sepang test is next to welcome bikes back on track in February.